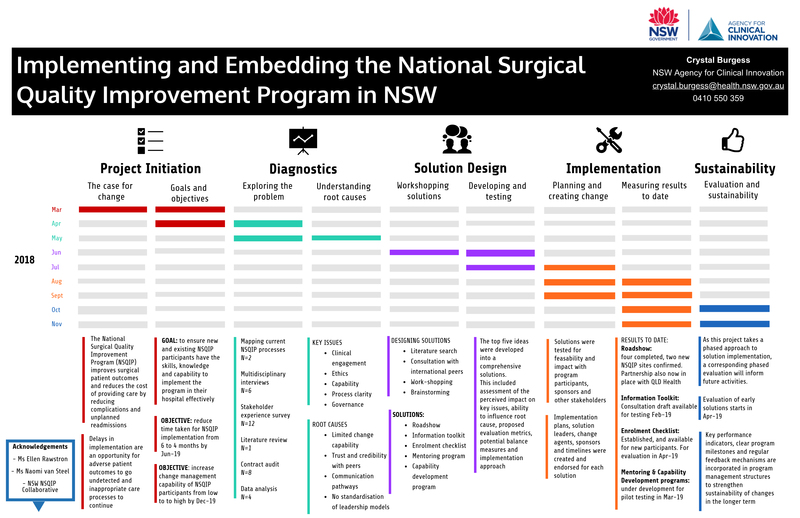 This project focuses on designing tools and resources for NSW hospitals to implement the National Surgical Quality Improvement Program (NSQIP) in their service. 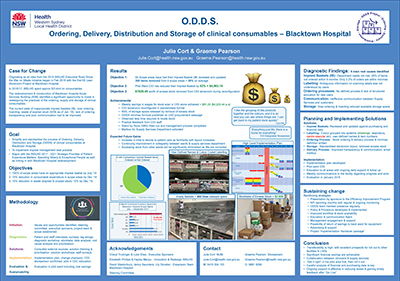 The Ordering, Delivery, Distribution and Storage project at Blacktown Hospital aims to improve the effectiveness and efficiency of consumable stock management practice; this includes imprest and non-stock items. 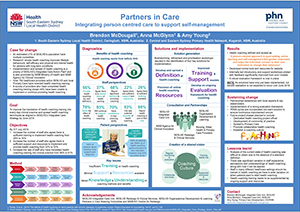 This project brings together patients, families, carers and healthcare staff to act as partners in care and treatment planning. 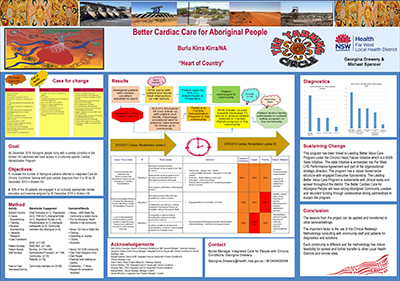 This project aims to improve patient outcomes for Aboriginal people with cardiac conditions in far west NSW, starting with the Broken Hill Catchment Region, by providing access to a cultural specific program in the identified communities. 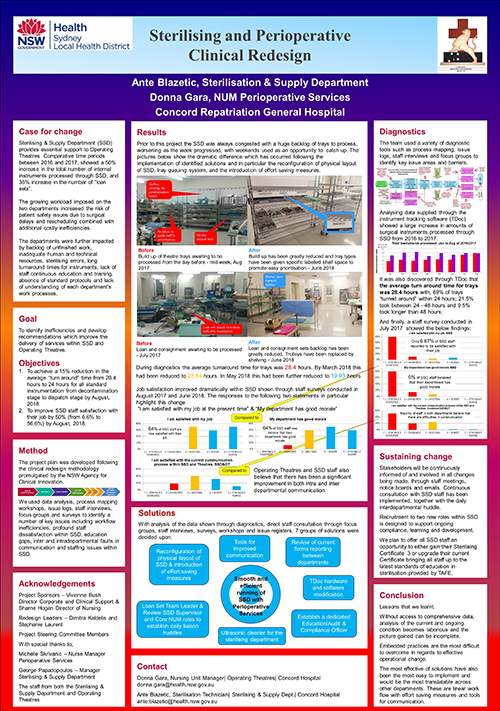 The project team identified an opportunity to enhance the patient experience at Concord Hospital by increasing operational efficiency between the sterilising department and operating theatres. 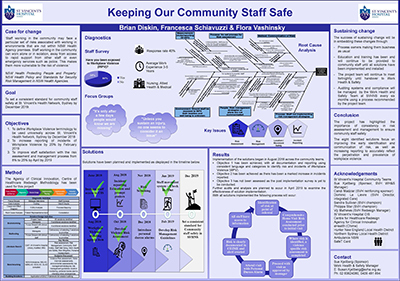 Following a review, a range of recommendations were implemented to improve inter-departmental communication and processes, streamline workflows, and enhance workforce morale. 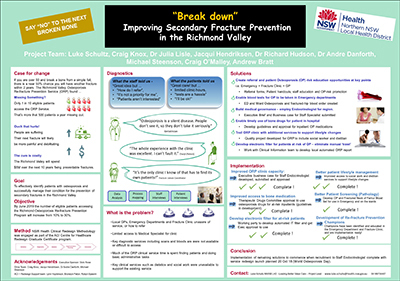 While local specialist services are available to help prevent secondary fracture, in the Richmond area, only 10% of those at risk are being assessed. This project will improve identification and referral for at-risk patients and help improve patient awareness of the risk of secondary fracture. 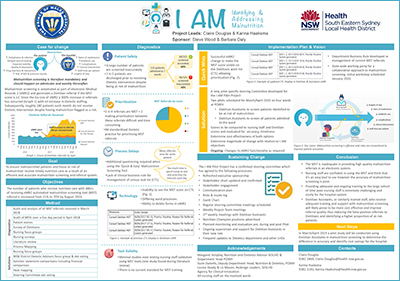 This project creates efficiencies in the provision of non-acute mental health beds across the Northern Sydney Local Health District by improving referral and communication processes and providing a better overall experience for patients and staff. 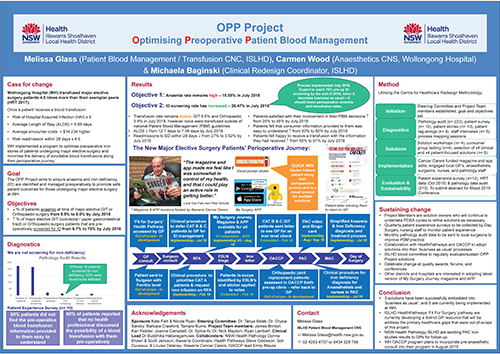 Wollongong Hospital implemented a program to optimise the pre-operative haemoglobin and iron stores of patients undergoing major elective colorectal, upper gastrointestinal tract and orthopaedic surgery. This will prevent avoidable blood transfusions and their complications, along the patient peri-operative journey. 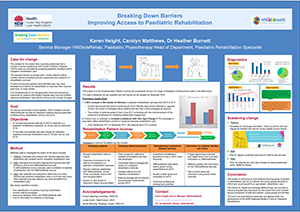 This project implemented changes to improve the transfer of care from John Hunter Children’s Hospital to HNEkidsRehab, for paediatric patients who need specialist rehabilitation care. 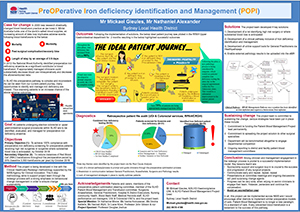 Sydney Local Health District developed a clinical pathway to identify patients who have iron deficiency anaemia. A strategy was implemented to manage identified patients with intravenous iron therapy prior to high-risk elective surgery. 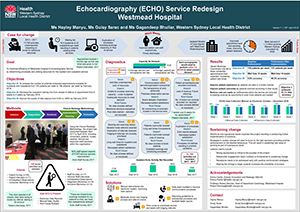 This project aimed to optimise the efficiency and sustainability of the Echocardiography Clinic at Westmead Hospital, by streamlining processes, distributing resources efficiently and delivering better services to the Western Sydney community, ahead of the opening of the new acute services building in 2020. 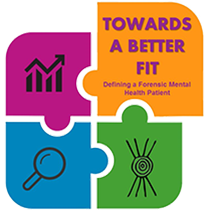 The Forensic Hospital implemented measures to improve the quality and compliance of patient outcome measures collected, including staff education and data feedback sessions, a user-friendly glossary and the development of a program to facilitate the analysis of HoNOS and other outcome measures. 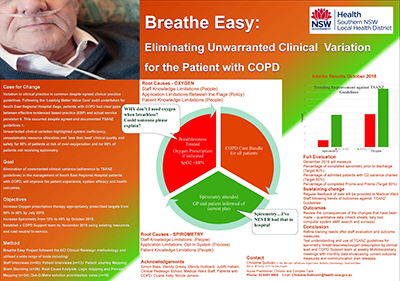 This project aimed to improve access to pulmonary rehabilitation and embed it as standard practice after admission to Coffs Harbour Health Campus for exacerbation of chronic obstructive pulmonary disease. 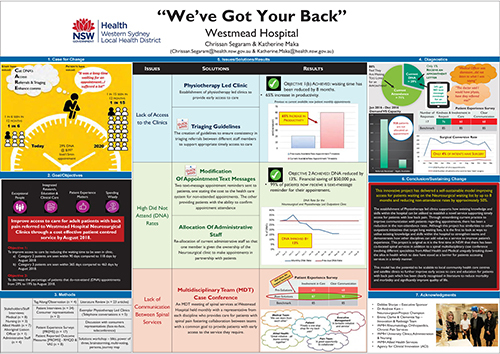 Westmead Hospital developed and implemented a series of policies, protocols and guidelines to better manage referrals from health professionals and improve waiting times in its ophthalmology outpatient clinics. 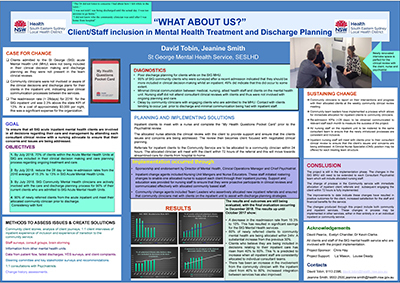 MNCLHD introduced a number of solutions to improve the flow and patient journey through its Mental Health Acute Care Services. 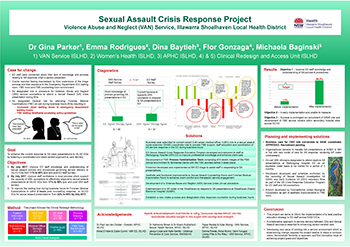 The Violence, Abuse and Neglect Service developed integrated and cost-effective solutions to support clients who present to the emergency department at Wollongong Hospital following a sexual assault. 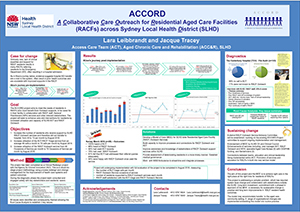 This project conducted a review of the care delivered to patients admitted to the oncology and palliative care wards at Westmead Hospital. As a result, changes were implemented that aimed to improve the coordination of care, reduce length of stay and streamline the discharge process. 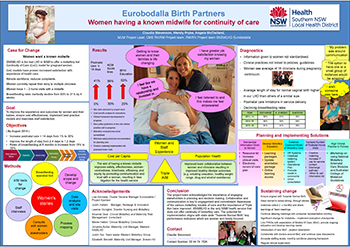 This project examined the patient journey for Aboriginal families accessing maternal and early childhood services within CCLHD. It identified opportunities for improving access to care, cultural support, patient information and education, coordination and integration of care in partnership with the Aboriginal Medical Service. 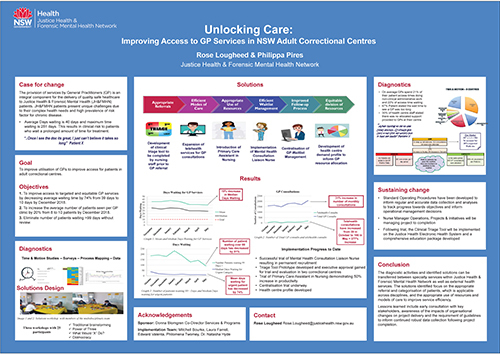 This project will implement a number of solutions to reduce clinical variability and length of stay in acute adult mental health inpatient units. These include a new model of care, new care coordination and discharge process, new patient flow and demand management systems, enhanced consumer engagement, and workforce review and development. 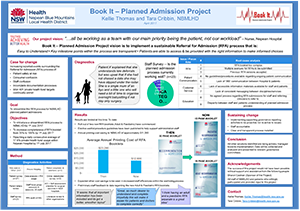 This project aims to introduce a transparent Referral for Admission process within Nepean Blue Mountains Local Health District. A review of existing processes, policies, documentation and support provided to staff and consumers was undertaken. 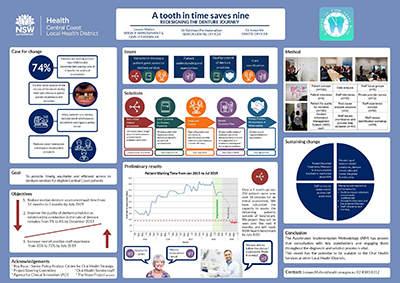 This project reviewed the journey of adult elective surgery patients at BDH and developed a series of measures to streamline and improve the booking, pathology, clinical review, admission, surgery and post-operative processes. 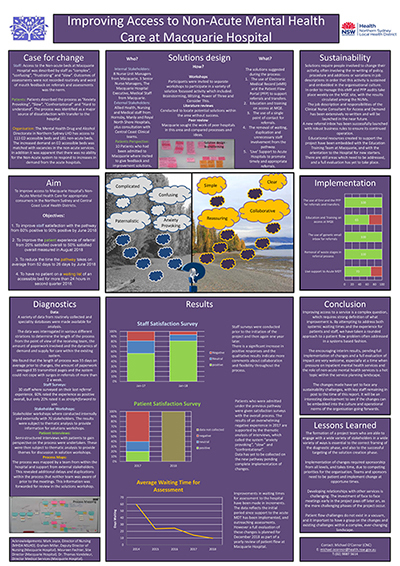 This project redesigned the preoperative screening and triage process, as well as operating theatre and pre-admission clinic staff work schedules. 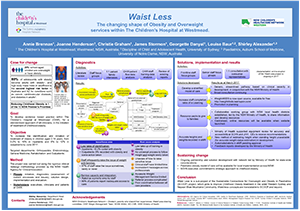 Patient information brochures were revised and new systems introduced, including text message reminders, operating theatre forecast planning meetings and team communication huddles. 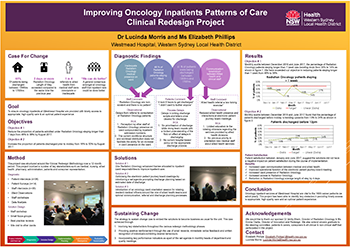 This project developed initiatives to reduce waiting time and delays for patients receiving chemotherapy and other treatments in the haematology and oncology units at Concord Cancer Centre, within Concord Repatriation General Hospital. New business processes were developed, patient information brochures distributed, patient education needs reviewed, a staff education ladder developed and minor building and refurbishment works planned. 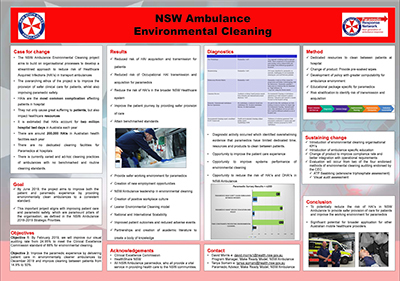 Mid North Coast Local Health District developed a clinical guideline that allows stable patients with specific diagnoses to have a direct bed-to-bed transfer from Kempsey District Hospital to Port Macquarie Base Hospital, with contingency plans for situations that may negatively impact the patient. This project developed a sustainable consumer engagement program that involved consumer representatives in all areas of service delivery, improvement and monitoring. 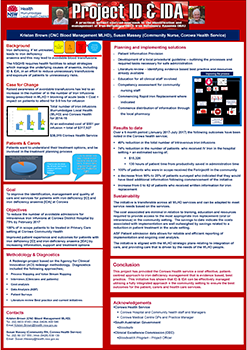 This project reviewed the service delivery model for patients with End-Stage Kidney Disease who require dialysis therapy. Solutions include a new clinical pathway, training manual and staff training, with revised patient education packages and refurbished training units at Royal Prince Alfred Hospital. This project relocated Maitland Hospital rehabilitation services to a new expanded rehabilitation facility at Kurri Kurri Hospital, relieving the pressure on acute services at Maitland Hospital. 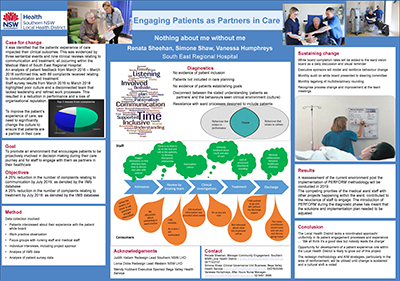 Ryde Hospital refurbished its Fracture Clinic, developed an information sheet for patients and created a streamlined model of care, to reduce waiting times and improve the patient experience. 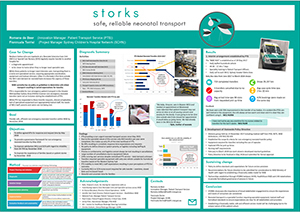 Royal Darwin Hospital redesigned its patient flow systems, with an estimated date of discharge tool and electronic patient journey board. 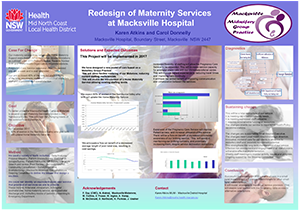 This project developed a virtual elective surgery waitlist for 10 surgical sites in MLHD, using data interface software. 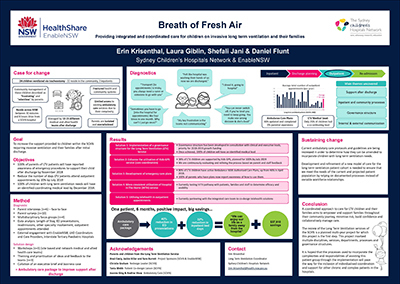 Broken Hill Base Hospital implemented a streamlined discharge process, a discharge lounge and a Hospital in the Home service, to improve the flow of patients through the emergency department. Coffs Clinical Network introduced new surgical services at Bellingen Health Campus and developed a centralised surgical waitlist, referral and admission process across Coffs Harbour, Macksville and Bellingen Health Campuses. 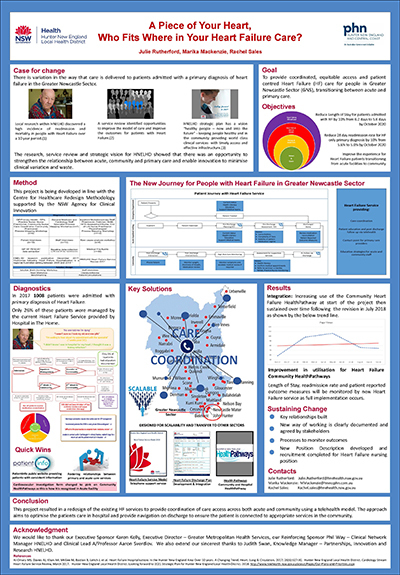 The project developed a standardised referral process for emergency department admissions and increased awareness of outpatient clinics and community health services among general practitioners in Nepean Blue Mountains Local Health District. 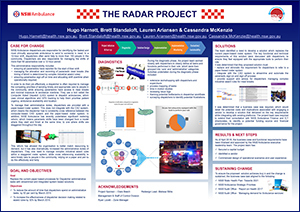 This project implemented processes to improve the availability of appointments, including a referral triage system, appointment reminders and a new non-attendance policy. 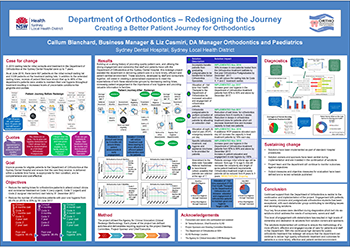 This project made changes to its staffing and administrative processes, to deliver a more timely and efficient orthopaedic service to patients at Gosford and Wyong Hospitals. 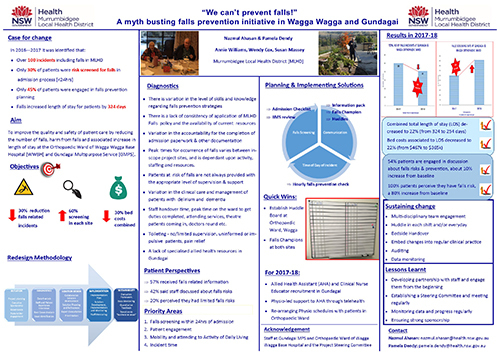 At Queanbeyan Health Service (QHS) 74% of patients admitted to an emergency department bed stay longer than four hours. In 2014 Admitted National Emergency Access Target (NEAT) performance in QHS was 36%. 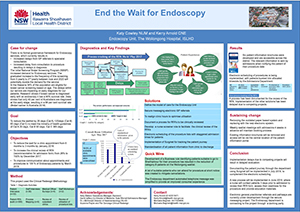 This project implements solutions to improve patient flow and improve NEAT by 20% in 2015. 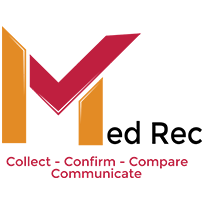 This project will audit the medical records of Australian Refined Diagnostic Reference Group G70 – Other Digestive System Disorders patients at Gosford Hospital to investigate the reasons for increasing length of stay and implement strategies to decrease this rate. The project will improve the Recommendation for Admission process for patients undergoing upper gastrointestinal surgery. The solutions developed will simplify the process for patients, surgeons and admissions staff by reducing inefficiencies and unnecessary delays. 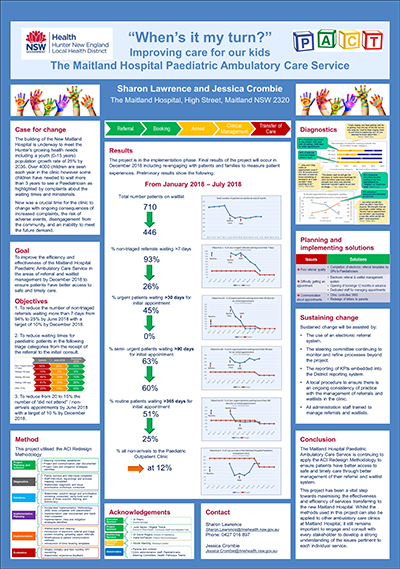 This project implemented a range of tools to reduce discharge delays at every stage of the patient journey, reducing length of stay and improving patient satisfaction and access to inpatient beds. 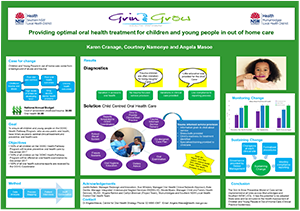 An elective surgical project was conducted across the three hospital sites of Manly, Mona Vale and Hornsby. The aims of the project were to reduce the number of “no bed” cancellation of elective surgery to improve access to surgery. 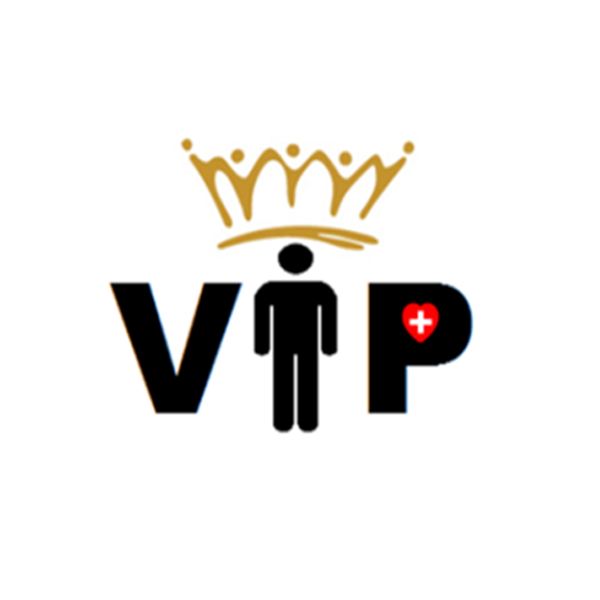 To increase the types of procedures that can be performed as Day Only procedures and improve access to surgery. 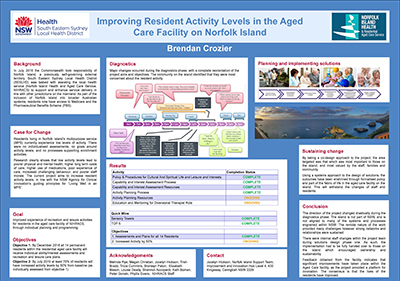 This is a clinical redesign project being undertaken at Concord Repatriation General Hospital that is focused on improving the patient journey for elective surgery patients by reducing delays in the Pre Admission Clinic and reducing cancellations on the day of surgery. "Stranded Sam" is an organisation wide communication strategy. The strategy aimed to: build understanding of factors that keep patients in hospital longer than their acute illness and the impact on the patient and the hospital when care is not coordinated, increase the visibility and transparency of waste within the hospital and engage key stakeholders and support the change management project.